You are here: Home / Health / Hear Like You Once Could: 5 Advancements in Hearing Aid Technology About Which You Should Know. Hear Like You Once Could: 5 Advancements in Hearing Aid Technology About Which You Should Know. 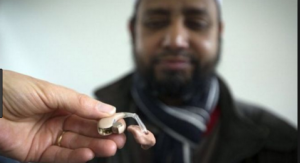 (ThyBlackMan.com) A lot of people nowadays still seem to be avoiding the use of hearing aids, despite growing people with their quality of hearing. There still seems to be a stigma of what hearing aids are, and even younger generations fear it will make them feel old or attach negative feelings towards them. However, thanks to modern-day technology, hearing aids have come a long, long way, and they are more versatile and feature-rich than ever before. This means the devices can provide more benefits than ever before; allowing us all to have a greater quality of life. Today, we’re going to explore five of the most surprising and beneficial advances that have taken place in hearing aid technology, helping you have everything you need to make the decisions that are right for you. Perhaps the biggest step forward in hearing aid technology is the fact you can connect up your hearing aid to your smartphone or tablet to use the accompanying apps. This means you have much more accessibility in what you can do and the features you have access too. For example, if you need to turn up the sensitivity, customize the volume, or create different profiles and presets for when you’re in different locations, this can all be done with a few taps of your smartphone, making it as easy to hear as clearly as possible. Thanks to the advancements in casing and design, hearing aids are now more durable and hygienic than ever before. Most notably is the moisture resistant design which means you can wear your hearing aid in any conditions without the risk of it breaking or not working. This also means that natural substances like dirt, sweat, and dust won’t cause problems like traditional hearing aids, ensuring your device lasts for longer and works more effectively. One of the most common problems with hearing aids used to be wind. This, of course, was a serious problem since many people love to spend time outside living active lives. This used to be because the amplifier would pick up the wind and make it louder, causing a rather uncomfortable sound. Nevertheless, thanks to design improvements, filters, and built-in technology, this is now not a problem. Since you can also customize the settings of your hearing aid, you can also adjust the sensitivity, so if there is a problem, you can easily resolve it. Older hearing aids used to amplify all sounds you were hearing simply. It doesn’t matter where the sound was coming from; you’d be able to hear it, meaning you couldn’t focus on a conversation that was happening right in front of you. However, now you can adjust and use the noise cancellation technology to easily zero in on the sounds you want to listen to, ensuring you can focus on the conversations you’re having, rather than everything that’s going on. There was nothing worse than going out and about during your day with your hearing aid and then the battery dying at the worst possible time, meaning you’re uncomfortable and unable to hear. Fortunately, a lot of work has been put into making sure this isn’t a problem anymore. As you can see, hearing aids have come a long way over the last few years, and they will continue to do so as technology continues to improve. If you’re having trouble with poor hearing, this is definitely a route you should look into.